... investigation focuses on whether the Company and its executives violated federal securities laws by failing to disclose that: (1) according to various academic benchmarks, K12 students were chronically underperforming their peers at traditional schools; (2) K12 has aggressively recruited students to their schools, regardless of how well-suited they might be for the Company's curriculum; (3) as a result of K12's haphazard recruiting process, the Company experiences student retention problems resulting in high rates of withdrawal; (4) K12 schools often have far larger student-to-teacher ratios than the Company advertises; and (5) K12 teachers have been pressured to allow students to pass regardless of academic performance, in order to receive federal funds. ... comparisons sometimes used to judge school performance are more indicative of demographic change than actual learning. ...New Jersey continues to maintain a charter authorization law which permits the state department of education to grant a charter to a school to operate in any district, and draw resources from that district, including those resources derived from local property taxes. But, local taxpayers have no authority in the distribution of local tax dollars to charter schools, authorized by the state. ... a portrait emerges of a company that tries to squeeze profits from public school dollars by raising enrollment, increasing teacher workload and lowering standards. ...Let the 50 states disaggregate equality-related data by ethnicity, gender, and socioeconomic status, and let us rank the states and reward them for closing all the societal inequalities that are truly at the heart of our achievement gap. There should be an incentive for voters to elect lawmakers who will craft policies that minimize inequalities. ...our entire education system is not "in crisis," as so many executives in the for-profit education industry insist when pushing to privatize public schools. On the contrary, results from Program for International Student Assessment exams show that American students in low-poverty schools are among the highest achieving students in the world. ...We’ve also learned that no matter how much self-styled education "reformers" claim otherwise, the always-demonized teachers unions are not holding our education system back. Like freedom, choice is a complicated virtue in society. ...If I want my child with a mere 100 I.Q. to attend classes with kids with more-academic smarts, while you with a child who has a 130 I.Q. want to be sure that your child keeps company only with smart peers—well, we can't both win. ...Then it comes to who has the power to get what they want or to persuade the other side that what they want is good for everyone. [Comment]: At the same time, it's important to recognize that the "financing" that will be supporting any charters that begin operations this fall will be funded by real public school budgets - all of which will be built by school boards for approval by voters during the next few months. Therefore, if the rule is amended as the editorial suggests, it's the public schools (and their taxpayers) that will have to bear the uncertainty of what programs and staff they will need to cut in the upcoming year to support the whims of the charter school operators and parents. ... inequities are the perverse result of a “reform” process intended to bring choice and accountability to the school system. Instead, it has destroyed community-based education for working-class families, even as it has funneled resources toward a few better-off, exclusive, institutions. ...The boards of nine schools managed by White Hat have sued the company demanding more financial transparency and more control over how the schools are run. A Franklin County Common Pleas judge ruled in August that White Hat must provide a detailed accounting of how it spends taxpayer money. ...Conversely, however, what this body of research does not show is that it’s a good idea to use value-added and other growth model estimates as heavily-weighted components in teacher evaluations or other personnel-related systems. There is, to my knowledge, not a shred of evidence that doing so will improve either teaching or learning, and anyone who says otherwise is misinformed. It’s an open question. ...Bangor, which currently has 179 tuition students, could be at the head of the class if the Maine Legislature enacts school choice, a school voucher program, or proceeds with innovative school legislation. ...K12 has hired lobbyists and backed political candidates who support school choice in general and virtual education in particular. From 2004 to 2010, K12 gave about $500,000 in direct contributions to state politicians across the country, with three-quarters going to Republicans... "We understand the politics of education pretty well,"
...Do we think people develop and flourish best when educated with a cross section of their community, or do we think they are better served by being educated with those who are like them in terms of gender, ability, belief or social background? Do we want a common level of education to be available to all in a given society, regardless of region, religion or parental income, or do we think parents ought to be able to choose a school type from a diverse menu? Who do we think should decide what is taught in schools—teachers, parents, governments (local or national), philanthropists, commercial sponsors? ... the secret of Finnish success is trust. Parents trust teachers because they are professionals. Teachers trust one another and collaborate to solve mutual problems because they are professionals. ...The prospect of abandoning an accountability system that stresses a narrow, test-driven curriculum and arbitrary targets for test performance is exciting. We need to replace it with an accountability system that stresses continuous improvement and constructive feedback for our educators, and genuine learning for our students through a system that emphasizes critical thinking and higher-order skills over rote memorization and test preparation. ...Supporting education goes beyond ironing out charter schools versus school choice, about teacher benefits and administrative salaries; it is about teaching new generations of Mainers, and Americans, to use their minds, to develop critical thinking habits, and to instill a high regard for problem-solving, innovation and the challenge of becoming entrepreneurs. ...Governor Le Page also mentioned during the forum that "the best education systems put their teachers in high status, such as doctors and engineers." Yet here in Maine, teachers are not even invited to participate in a forum on education. ...seeking nominees with diverse professional experiences in education, social services, youth training, business startup and administration, accounting and finance, strategic planning, and non-profit governance. ...accusing [reformers] of being motivated solely by personal financial gain, or even implying as much, could well be unfair, but, more importantly, it contributes nothing of substance to the debate. On the flip side of that coin, however, is the endlessly-repeated “we care about children, not adults” narrative. This little nugget is a common message from the market-based reform crowd. ... a public school is a public trust. It doesn't belong to the students who are currently enrolled in it or their parents or to the teachers who currently teach in it. All of them are part of the school community, and that community needs to collaborate to make the school better for everyone. ...The department is still in the early stages of writing its waiver application. Last week, state officials answered questions from 96 superintendents and other administrators on a conference call. Education Commissioner Stephen Bowen probably will set up a small group inside the department and solicit feedback from around the state, Connerty-Marin said. ...This more cooperative approach holds promise. Guiding schools to avenues of success — rather than highlighting their shortcomings — must remain the focus. ... Education Nation is not a program for regular teachers or about regular schools, let alone regular parents and school leaders. "Seeing and being seen" isn't on regular teachers' agendas-- they don't get to attend summits. These days, regular teachers don't even get the opportunity to attend conferences or get good professional development. They're lucky to have a job. ...Other people--"experts"--gather in national forums, to talk about teachers' work, declaring it measurably inadequate, uninspiring, lousy enough to develop a petition shutting down public schools. They compare "regular" teaching to jazzed-up video teaching, and "regular" schools to franchise schools with advertising budgets. And they make judgments, based on glittering media showcases of What Could Be. ...When you interpret testing data properly, you don’t have much of a story. ...bad data analyses and bombastic conclusions about our supposed education apocalypse do little or nothing to start a genuine conversation about either the true current conditions of our schools or whether we should be considering systemic changes. ... each school district hires its own lawyers and negotiates its own teacher contracts. Is that something we can still afford? And does it improve learning? Maybe it is time for a single statewide teacher contract that would put common policies and practices in place for all teachers in Maine. The savings on all those contract negotiations would be huge and we could use those savings to pay teachers instead of paying lawyers. "...people’s aspirations need to change to meet the emerging needs of employers"
...Avenues is the brainchild of Chris Whittle, the founder of Edison Schools, a company that tried to make money from privatizing public school management. Eventually, he plans to open 20 campuses around the world. ... not surprised that modeling public schools after corporate America has resulted in the educational versions of the Enron scandal. ...we facilitated a session on the authorizing process at the State Board's annual retreat. ...We are also busy applying for grants both to fund MACS' new, different, and increasing workload and to fund training for the new State Charter School Commission. ...The district's showing was even more surprising given that its schools didn't benefit from outside funding and other extra resources brought in by reform groups for their schools. ..."This isn't about covering up schools that are not performing up to the level we'd like to see," Bowen said. "There are a lot of ways you can measure how schools are successful." ... when it comes to education, good outcomes are not the same as great teaching. The most reliable way to amass impressive alumni is to screen for impressive freshman. But at the policy level it’s more important to identify institutions that are unusually good at helping people learn, not institutions that are unusually good at screening. ...when people do things in exchange for external rewards, their intrinsic motivation tends to diminish. ...a "substantial disservice to the public interest." ...Eschewing what should be long-term educational values (e.g. civic engagement, critical thinking, effective communication, a sense of shared responsibility), districts - and the politicians held responsible for them - see more incentive to maximize short-term testing gains in the interest of avoiding the punishments promised by NCLB for "failing" schools. ...Public education finds itself focusing on short-term gains because it's sold its stock (i.e. the right to make its decisions) not to the public, but to those who'd have you believe that standardized tests are appropriately used as the sole indicators of school quality. ...Oh, and who's on the panel? Well, not one practicing teacher. ...One DeVos-led group, the political action committee “All Children Matter,” was fined a record $5.2 million by the Ohio Elections Commission after being charged with illegally shifting money into the state to support candidates considered friendly to private-school “choice” initiatives. ...event planners, who had expected around 25,000 children to attend along with their parents, found themselves overwhelmed with nearly four times that number, forcing police to close the doors around 10 a.m., two hours earlier than expected. Every supply was distributed, every immunization given out, and yet still Texans came up empty-handed. 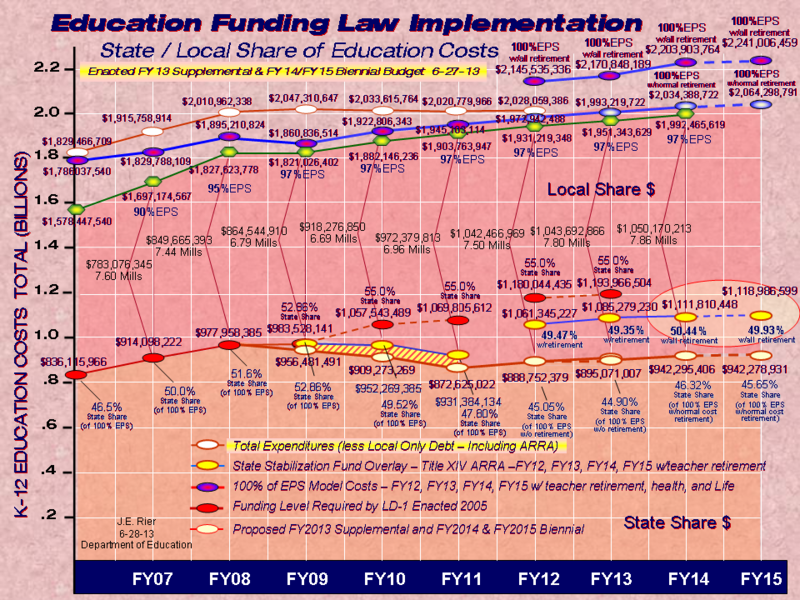 ...Put very simply, a per pupil spending figure out of context is meaningless. $17,000 I say! $17,000… an abomination I say. It’s a huge number! Why would we ever consider spending more than that per pupil in New York City? Well, what if it just happened to turn out that in the same year, that $17,000 per pupil was lower, on average, than most of the surrounding districts with much less needy student populations? What if that $17,000 was only approximately 50% of what was being spent in private independent schools operating within the city? It doesn’t sound so big any more does it? How would survey respondents in New York City change their answer if this information was provided? ..."Maybe if we're in New York that's an option, but in Machias, Maine, you can't do that," Bowen said about firing entire staffs. "Where are you going to get 30 new teachers in rural Maine?" ... if we buy into the insidious lie that the public education system is anti-Christian and corrupt, and if we begin advocating for like-minded people to pull their students away from the system, we are in essence saying that we aren't concerned with ministering to anyone outside of our own community and that we aren't invested in helping the less fortunate better their stations in life. ...Countries with a larger share of private schools do not perform better in PISA. ...plaintiffs are arguing that state officials, including Hammond, helped create the voucher pilot by advising Douglas County officials on the best way to get around potential violations of state law. ... the paper notes that "improved selection is only beneficial to the extent that there exist effective teachers who are unhired." The bottom line here is local labor markets affect selections, and that the ability to be choosy only works when there is a surplus of folks seeking a position. ...Until we take these disparities seriously and stop counting on miracles and superman to give us a free ride, we’re not likely to make real progress on the “Scarsdale-Harlem” achievement gap. ...Treating teachers like crap, cutting state funding, basing teacher salaries on student test scores will do nothing to correct these disparities, and will likely only make them worse. ...nobody talks that way about the children of the wealthy, who can pay for individual attention in tutoring or private schools with small classes. I understand that we need to get rid of bad teachers, who will be just as bad in small classes, but we can't demand that teachers be excellent in conditions that preclude excellence. ..."The evidence is pretty clear that teachers tend to move toward schools that have higher achievement, fewer kids in poverty, fewer discipline problems,"
...intense competition for exam school seats does not appear to be justified by improved learning for a broad set of students. ... The second report, released in April 2010, did not find evidence of impacts on student test scores or teacher retention two years after rollout. ...Arguably, we have too many assessments, but the real problem is that we spend too much student time on the wrong assessments. The elimination of the NECAP and MEA assessments could effectively increase the school year by two days for elementary students in the vast majority of Maine districts that are already using the NWEA. ...schools need to become smaller, students need to have more contact with educators, and teachers need to move away from multiple choice to a more open-ended, problem-oriented style of teaching. ...The reform movement has created an educational marketplace that presses schools to compete for students. This is good for the students selected for the strongest schools but not so good for children left behind and grouped as the weakest. Accusing the Republican-dominated Florida Legislature of trying to dismantle the separation of church and state, a coalition of public school advocates and religious leaders filed a lawsuit Wednesday challenging a ballot measure that would allow the state to funnel money to religious institutions. Public school advocates are fearful that the proposed constitutional amendment was designed to promote a big expansion of private school vouchers. ...Public education is a communal good, like public roads, law enforcement, and national defense. Such communal goods are paid for by all of us, regardless of whether we use them, and must be controlled via democratic decision-making that reflects the will of the majority while ensuring equal rights for the minority. ...When allocating communal goods such as public education, can the preferences of individual parents supersede the needs of the whole? ...The third error is a belief that important traits are fixed rather than changeable. ...Examining the nation with one of the most comparatively successful education systems on the planet, the film contradicts the test-obsessed, teacher-demonizing orthodoxy of education "reform" that now dominates America's political debate. ...The "niche" effect of charter schools guarantees a swift and vicious deepening of class and racial separation. ...for many charters the end result is that each cohort of incoming students is gradually whittled down, eventually losing many of the students with the most difficult academic and/or behavioral problems. Since they’re often not replaced, who’s left behind? ...The students who remain tend to be the students who fit in well with the school’s culture, meeting its expectations, and not disrupting class. These remaining students interact with each other socially and academically, feeding off each other’s successes and abilities. ...a deeper crisis emerges when we privatize education. As Benjamin Barber has argued, “public schools are not merely schools for the public, but schools of publicness: institutions where we learn what it means to be a public and start down the road toward common national and civic identity.” What happens to our democracy when we return to an educational system whose access is defined by corporate interests and divided by class, language, ability, race and religion? ..."With these charter schools, people are trying to say, 'I want a custom-tailored education for my children, and I want you, as my neighbor, to pay for it.'" ...where is the label for the lawmaker whose policies fail to clean up the poorest neighborhoods? Why do we not demand that our leaders make “Adequate Yearly Progress”? We have data about poverty, health care, crime, and drug abuse in every legislative district. We know that those factors directly impact our ability to teach kids. Why have we not established annual targets for our legislators to meet? Why do they not join us beneath these vinyl banners that read “exemplary” in the suburbs and “unacceptable” in the slums? ...For the first time in our history, there is a concerted attempt, led by powerful people, to undermine the very idea of public schooling and to de-professionalize those who work in this sector. Sure, there were always fringe groups and erratic individuals who hated the public schools and who disparaged credentials and degrees as unimportant. ...But these were considered extremist views. No one took them seriously. Now the movement toward privatization and de-professionalization has the enthusiastic endorsement of governors and legislatures in several states (including, but not limited to, Florida, New Jersey, Pennsylvania, Ohio, Texas, Indiana, and Wisconsin). Worse, it has the tacit endorsement of the Obama administration, whose Race to the Top has given the movement a bipartisan patina. And Secretary of Education Arne Duncan has said little or nothing to discourage the Tea Party assault on public education. ...Are there reasons to hope? ... Regardless of the district they are describing, their studies use almost identical words to describe the same policies. The problems are always the same - education schools, due process, not enough performance pay, and the failure to use enough standardized testing when evaluating teachers. ...The names may change, but the NCTQ's villains and solutions do not. ... Facing backlash on the right and left over concerns that the administration coerced states to embrace test-driven teacher evaluation and the Common Core through Race to the Top, Duncan's strategy is to double down? ...Add in legislative initiatives, like that recently passed in Ohio, which allow public dollars to flow to for-profit schools, and you have the final ingredient of the end game. We might as well admit that education is no more important than any other product in our consumer culture. ...bottom five states [in union giving] are Alaska, South Carolina, Maine, Mississippi and Vermont. [Dept of Astroturf] Michelle Rhee's 'Students First' seeks to influence Maine's charter school legislative debate. ...After Milken agreed to back K12, Packard looked for a partner with education credentials to run K12 with him. He sought out former U.S. Education Secretary William J. Bennett, who had served in the Reagan Administration and had the conservative bona fides to appeal to the initial target market: homeschoolers, many of whom are conservative Christians. ...The early advocates of public education in this country — Benjamin Rush, Thomas Jefferson, the Working Men’s Associations in Philadelphia, Boston and New York, as well as African-American and reformer-dominated legislatures in Southern states after the Civil War — all recognized that for democracy to work, students needed to be educated in environments with children from a range of socio-economic backgrounds. ...If we’re going to encourage and fund private and semi-private schools, populated by children who have adults deeply involved in their lives, what happens to the other children? ...Once dedicated to educational quality, today’s charter school movement is increasingly dominated by powerful advocates of market-based reform and privatization in public education. ...This would just redistribute tax dollars collected from all the state's residents and channel it to the coffers of a few private nonprofit institutions. It would be a strange choice for a state that is having a hard time meeting all of its obligations and balancing its budget. ...introduced to create a "State Charter School Commission," which would have the power to authorize charters, the bill has yet to be voted on, but if it passes, it could engender a challenge under the Maine Constitution. ...It turns out that neither the researchers whose work is reported on in this paper nor the analysts of the OECD PISA data have found any evidence that any country that leads the world’s education performance league tables has gotten there by implementing any of the major agenda items that dominate the education reform agenda in the United States. We include in this list the use of market mechanisms such as charter schools and vouchers, the identification and support of education entrepreneurs to disrupt the system, and the use of student performance data on standardized tests to identify teachers and principals who are then rewarded on that basis for the value they add to a student’s education or who are punished because they fail to do so. ... the word, like so many others in education, has been hijacked. The “new reformers” have appropriated it as a descriptor for policy proposals and practices they advocate, and as an antonym for almost anything else. Charter schools? Innovative. Regular public schools? Definitely not. Competing for education funding? Innovative. Assuring that adequate monies go to schools that most need them? Passé. Evaluating teachers based on test scores? Innovative. Collective bargaining? Old school. Corporate reformers have come to own the word so completely that they’re able to promote even the most wrongheaded ideas and still be portrayed by many media outlets as innovators. ...Why not have an innovative commissioner, innovative local school boards, innovative students, teachers and parents rally around the current public schools rather than create the illusion that significant change will emerge from public charter schools? ...anticipate the pride with which administrators will soon report that an overwhelming majority of our parents believe we're doing a damn fine job! Eighty-seven percent agree or strongly agree that we cram the facts into their children that the middle schools expect them to have been taught! Ninety-one percent report that their children can recite the prohibitions and punishments we've unilaterally devised and imposed on them! Is this a great school, or what? ...Bowen said Gov. Paul LePage is a “school choice supporter.” He said a dynamic tuition model may be proposed in the next legislative session. ...we are dealing with two very different mind-sets. One sees the school as a community, a place of learning where there is an ethical obligation to support both staff and students, helping both to succeed. The other sees schools as one part of a free-market economy, where quality may be judged by data; if the results aren't good enough, then fire part or all of the people and close the store, I mean, the school and pick a new location. The former looks to teamwork and mutual support as guiding principles; the other prizes competition, leading either to rewards or punishments. ...there are twice as many lower performing and less efficient schools and school districts in Maine than there are higher performing and more efficient schools and districts. ...charters tend to be hungrier, more results-focused, more innovative and often more effective than traditional schools. If this is indeed the case, you may well ask why don't we simply convert to the charter model across the state? ...Kids are the biggest winners this legislative session, but each of us must be their champions by demanding an educational system that puts them first and jettisons them to the top of the class among their national and global peers. ..."There is a growing outrage about charter schools being forced in communities where they don’t want them. There is no opportunity, none whatsoever, for local taxpayers to have a say whether they want one or not. There needs to be broad community support or input as to whether there is a need." ...reformers seem shocked when anyone questions their narrative. They see no downside to their dogmatic belief in closing schools and firing principals and teachers, nor to their dogmatic faith that higher test scores are the goal of education. They accuse critics of "defending the status quo," even though it is they who are the status quo, the champions of get-tough accountability. ...more to teacher effectiveness than merit pay and dismissing those we deem least effective. ...establishes a process to authorize the establishment of public charter schools in the State. ...Instead of promoting innovation, creativity and imagination, the current obsession with raising test scores discourages these things. Students are learning to pick the right answer and being penalized for thinking differently. ...the determined agenda is to turn schools into places that parents will ultimately reject, with overcrowded classrooms, beleaguered teachers delivering one-size-fits all instruction, and rapidly diminishing attention to the specific needs of children. Then everyone will blame educators. ...proposals put forward this year are notable both for the diversity of strategies they use in attempting to channel more public funding for nonpublic school options, and for their ambitious reach. ...Over the long term, fixing our schools is going to involve a lot more than, well, just fixing our schools. In the short term, however, the reform movement could use something else: a dose of humility about what it can accomplish — and what it can’t. ...“It’s not fair to make these people pay out twice, once for hardware and then again in government taxes. In today’s uncertain world, the defense dollar should follow the citizen. ...A key component of the plan is for public school dollars to follow students to the magnet school. Bowen said a bill under consideration that would allow charter schools in Maine would accomplish that ...If the charter school bill fails, said Cummings, who opposed charter schools as a legislator, the Maine Academy of Natural Sciences would negotiate with superintendents from sending schools for the students’ tuition dollars. ..."If the school is going to take a voucher, they need to be pro American,"
...Two pieces of legislation working through the Indiana legislature will give Hoosier families more educational options. Expanding access to more choices -- private, charter and virtual -- gives parents a greater choice in where their child goes to school. ...Not only can't we afford it, but it would only hurt our rural public school system while funneling our tax dollars to schools over which we have no control. Our legislators owe it to the taxpayers to be responsible stewards of our money and oppose this voucher movement. ...We need forums where the information is laid bare and where arguments rest on their merits. ...We should be as faithful as elephants, meaning what we say, saying what we mean, remembering what we said before, and knowing what we’re talking about to begin with. ...could have used a class in "what happens if you can't get a job, and the unemployment rate rises and nobody can find a job." ...At stake is about $600 billion spent annually on K-12 education. Privatization in this case and in many others is code for using public money to finance risk free private investment that ensures private profit and excludes public profit while externalizes risk and passing off any loss to government. I don't know what one calls such a system, but it most definitely is not "free market capitalism". ...The latest state test scores for Wisconsin revealed that students in Milwaukee public schools got higher scores than those in the voucher schools. Among low-income students, those in voucher schools scored the same as low-income students in the Milwaukee Public Schools. ...voucher schools do not have as many high-needs students as the public schools in Milwaukee. According to state data, only 1.5 percent of voucher students are in special education, while in the public schools, the figure is about 19 percent. ... lessons of this fiasco are clear: being a successful business executive is no guarantee that one can become a successful school leader. ...it may be time to set aside two prevailing biases in the education reform community: that noneducators with strong management skills should be brought in to fix the “mess” that educators have made; and that the rigor of private sector experience will inevitably trump the skills of those toiling in the public sector. ... Her departure is a rare setback for a corporate-funded education reform movement that lauds standardised tests, non-union teachers and private management as the solution to the problems of public education. ...The school privatisation movement is one of unparalleled genius. It proposes free-market solutions to a problem created by the free market: wealthy taxpayers refusing to adequately fund poor people's schools and a deindustrialised service economy that has eliminated good jobs for the working class. ...provides for an income tax credit of up to $2,000 for tuition paid to a private school for a taxpayer or a dependent of the taxpayer. ...substantially higher levels of attrition than local school districts. ...approximately 15% of the students disappear from the KIPP grade cohorts each year. ...received, on average, $18,491 per pupil in 2007-08, $6,500 more per pupil than local school districts. ...Students in Milwaukee's school choice program performed worse than or about the same as students in Milwaukee Public Schools in math and reading on the latest statewide test, according to results released Tuesday that provided the first apples-to-apples achievement comparison between public and individual voucher schools. ...Scott thinks he will attract a slew of great teachers by putting all new hires on one-year contracts for the entirety of their careers, or the linking of at least half of every teacher’s salary to how well their students do on standardized tests even though the tests aren’t designed for such use. ...This will in no way reduce the unfunded liability because the amount of money taken in will be the same; state workers and teachers will just bear more of the burden. In fact, his budget will use some of the money the state won’t put into the pension system to pay for tax breaks and the $500 million in increased government spending. ...Republicans aren't just criticizing public schools, they're overtly calling for the institution's complete elimination. This isn't something they're embarrassed about; these GOP voices are stating the goal plainly, as if there's a genuine appetite among voters to scrap the entirety of the American public education system. ...In Maine, we do not need to go around saying what a bad job somebody did or how we have to wreck the school system or punish teachers or make testing more severe. We have to do more of what we know how to do, what we already know works and what everybody wants to do. ...“Being demonized in the press, welcome to the party,” LePage said. “I feel bad for teachers and state employees. You’ve been sold a bill of goods. ...If you buy a newspaper in Maine, it is like paying someone to lie to you"
...The RSU received less than 10 applications for the position, he said, a reflection of what appears to be a high number of superintendents who have left and may be leaving posts this year. Ashmore said there are estimates that as many as 30 superintendent positions could come open this year. ...Mediocre teachers are much less effective. ...Obviously, removing tenure would make it easier to remove ineffective teachers. Who knows how many of these there are in any school system, but at least 5 percent to 10 percent is a reasonable figure. ...In fact, in the best charter school groups, where principals can remove teachers more easily, few teachers actually are asked to leave. ..."You have been sold a bill of goods"
... repeals the limiting of hours minors 16 years of age may work while school is not in session. It repeals all limitations on the hours a minor 17 years of age may work. Jeff and Dan talk with Jarrod Dumas, a Maine Social Studies teacher who went to the Appropriation Committee Hearing on proposed pension changes for teachers. ...Financial incentives for teachers to increase student performance is an increasingly popular education policy around the world. This paper describes a school-based randomized trial in over two-hundred New York City public schools designed to better understand the impact of teacher incentives on student achievement. I find no evidence that teacher incentives increase student performance, attendance, or graduation, nor do I find any evidence that the incentives change student or teacher behavior. If anything, teacher incentives may decrease student achievement, especially in larger schools. ..."We need to convince people that if they invest their career in working with these challenging students, then we will reward them and appreciate them. We will not subject them to arbitrary humiliation in the newspaper. We will not require they be evaluated and paid based on test scores that often fluctuate greatly beyond the teacher's control." ...LePage said that during a recent trip to Washington, D.C., he learned that good teachers can be effective even if they have large classes. ...He said teachers who "aren't successful in the classroom" will be invited to "take on a new career." ...We need to do what Michelle Rhee did in Washington, DC and what my friend Joel Klein did in New York. In Joel’s words, to achieve thorough reform “we need to turn the system upside down.” ...Steve Bowen will shake up the system…maybe even turn it upside down. ...Should states work with teacher unions to overhaul education or try to roll over them? ...Tuition would be paid by each student's school district. 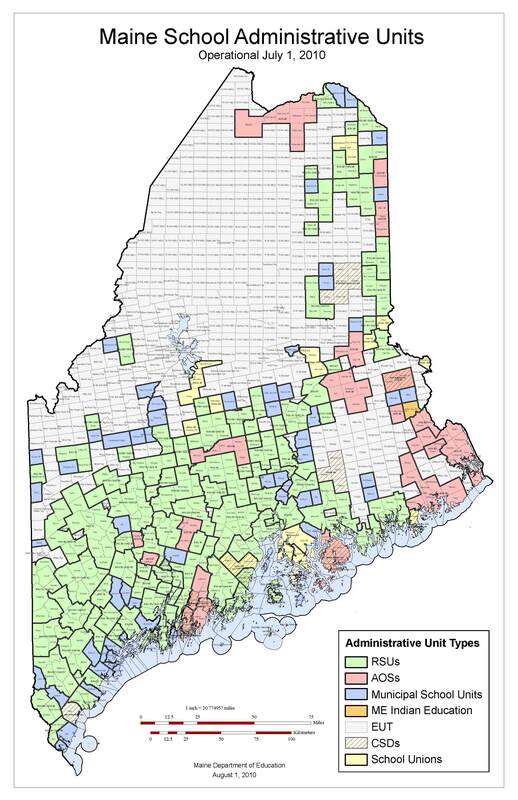 ...Maine has too many school districts, which spend too much on administrative costs. ...Lawmakers should look for ways to make districts more efficient. ...Critics say that charter schools will draw students and resources away from traditional schools, while providing a lesser quality education. What they ignore is that families want to have choices, and competition for students could motivate all schools to improve. ...the district is interested in designing a menu of bonuses teachers and teams of teachers can earn if their students' performance improves. ...$730,000 each year has been directed to a new program at Good Will-Hinckley in Pittsfield to create a charter school for at-risk youth. In addition to passing the budget, the Legislature will need to enact a law to allow charter schools in Maine for the program to move forward, Bowen said. ...Maine ranks 12th in the nation for the percentage of students graduating in 2010 who had at least one successful AP experience. ...Maine also is among the best in the nation at increasing AP success, with a 4.8 percent increase over five years in students who have earned a score of at least three. That improvement rate puts Maine at fourth in the nation. ...At the Department of Education, wages have been reduced to $8.50 an hour, and all employees are required to wear red aprons and vacant stares. “It was pretty much the same under Baldacci, except for the pay,” said one DOE staffer. ..."Public school choice might make sense in an urban community," Duncan said, "but if there's not another school for 30 miles, it doesn't make as much sense." A 'Parent Trigger' for Maine? "...People don’t know - or won’t admit - there is a problem with their own schools." ...Give these people the chance and they will seize whatever remains of American democracy, of which I was reminded when the closet reactionary Brookings Institution came up with a proposal for my state of Maine that emphasized the consolidation of everything from towns to schools. Did they know so little about the place that they didn't understand that Maine's historic localism has been one of its major virtues and survival techniques? [The sound of one hand teaching] Self-control is missing ingredient in education, William Vaughan Jr.
...evaluations based on observed state test outcomes are only slightly better than coin tosses at identifying teachers whose students perform unusually well or badly on assessments of conceptual understanding. ...The only teachers to whom we can readily assign (albeit deeply flawed) effectiveness ratings are those teaching math and reading between grades 3 and 8. So, the only teachers who we could conceivably layoff based on preferred “reformy” quality metrics are teachers who are directly responsible for teaching math and reading between grades 3 and 8. ...Gone are the days when “the experts” rose to the top of the hierarchy. In the information age — and particularly in education, social service and health care — the experts are at the point of delivery: the classroom, the home visit, the examination room. Solutions to difficult problems require, as they always have, creative, energetic and committed Mainers working hard in their communities and schools. ...goal is to clear students’ minds to focus on bigger concepts and stimulate more analytic thinking. ...who's going to pay for those "free" courses? The cash-strapped state? The already mad-as-hell local taxpayer? ...a list, which could easily have been generated by a random search engine scouring “reformy” think tank websites, excluding any ideas actually supported by research literature. ...A few billion dollars in private foundation money, strategically invested every year for a decade, has sufficed to define the national debate on education; sustain a crusade for a set of mostly ill-conceived reforms; and determine public policy at the local, state, and national levels. ...Two points are worth noting about PISA. First, the two top-scoring participants—Shanghai and Finland—both have strong public school systems. Neither is deregulating their schools and handing control over to private organizations. Different as they are, they achieved academic success by strengthening the public sector, not by deregulation and privatization. ...The other salient factor about U.S. performance on international tests is that we have an exceptional and shameful rate of child poverty. ...The big difference between KIPP and regular public schools, however, is that whereas struggling students come and go at regular schools, at KIPP, student leave but very few new children enter. ...Improving educational outcomes will mean giving Maine’s schools a major overhaul. Promising reforms such as public charter schools need to be implemented, the many mandates that burden Maine’s schools must be lifted, and efforts to dramatically improve the effectiveness of the state’s teachers and school administrators must be made.